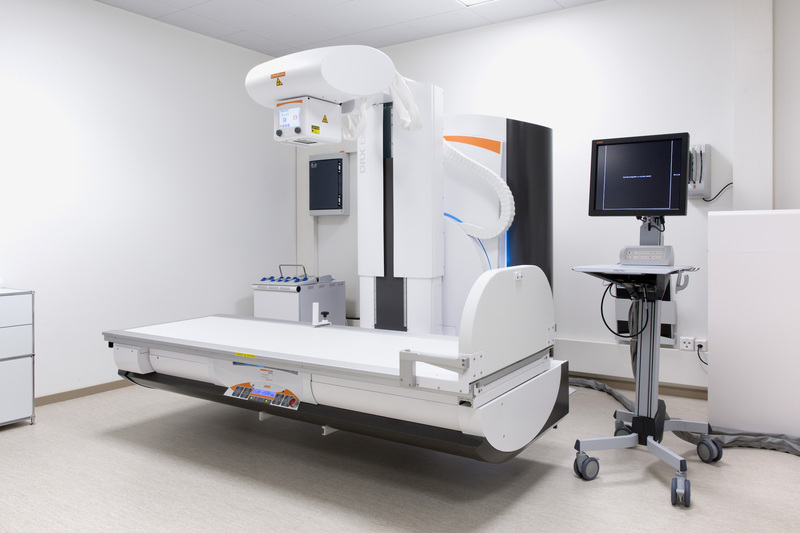 X-rays are commonly used to produce images and can be used to examine most areas of the body. As they pass through the body, the energy of the X-rays is variably absorbed by different body components. A detector on the other side of the body picks, up the X-rays after they’ve crossed through the body and generate an image. Dense parts of your body such as bone, that X-rays find difficult to pass through, appear as bright areas on the image. Softer parts such as lungs, that X-rays can pass through more easily, appear as darker areas. During an X-ray, you’ll usually be asked to lie on a table or stand against a flat surface so that the part of your body being examined can be correctly positioned. The X-ray tube will be carefully aimed at the part of the body being examined by the technician, who will then trigger the X-Ray from behind a screen. No preparation is required for an X-ray. Jewelry and clothes containing metal (such as zips) which will have to be removed.